In the interest of finding new and creative reasons to be dissatisfied, I decided recently that I missed the little birdhouses we had at our previous home and wanted to have something similar at our new place. At the old house several birdhouses were positioned right outside our bedroom window, which was over our bed. Every morning those little baby birds would start screeching around 5:30 or 6:00. It was unnerving. However, I DID enjoy watching them in the evening. The key would be to place these in a location where we could sleep in the morning without the serenade. 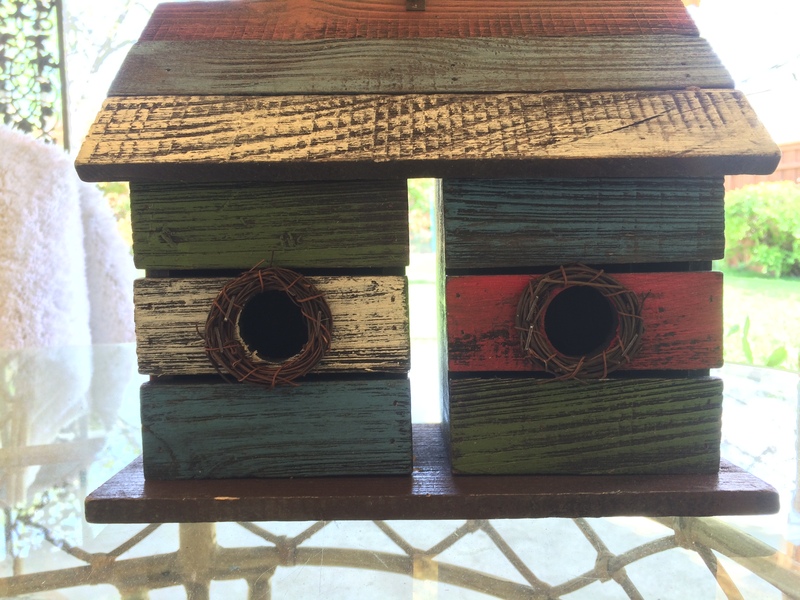 So, having seen how easy the whole process was – after all, the birdhouses were there when we moved in, I imagined that all I needed to do was purchase a bird house or two and BOOM, I’d have a yard full of happy little bird families. I was a little slow about getting them hung up come spring, and am worried we’ll end up with lazy, good-for-nothing birds that are left over in the neighborhood, instead of good, law abiding, church-going bird families. Turns out it doesn’t matter. I’d take some dead beat birds right about now. Why? No birds have yet taken up residence. The houses are different types – and I have them spread out and in different locations around the back yard, so you’d think ONE of them would attract a tenant. 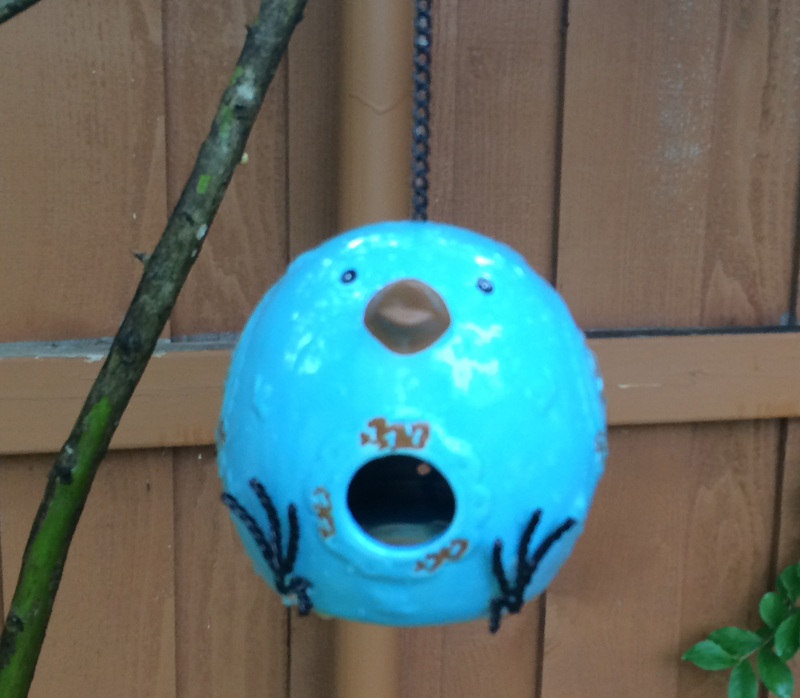 There’s a bird condo, which would be perfect for a couple of families – a tiny bird house that may be too small for an actual bird family – but it would be fine for a single bird who doesn’t need a lot of room for entertaining – and the third is an adorable ceramic bird that is a “house.” The Duchess gave me that after my procedure. It’s for fancy birds with a sense of irony. I swear – the bird houses at our previous residence were just basic wooden birdhouses – and one was a metal watering can. Hell, the outside light over our garage door was a favorite location for one stubborn bird and family. I can’t tell you how many times Robert pulled the nest out of there lest it catch fire. I don’t get it. I have a bird feeder that is getting a lot of action – so birds are definitely around. Maybe my birds just aren’t in a romantic mood yet or ready to start families. Maybe I have professional, career-oriented birds. Meanwhile, on the front porch the other day, I had hung some purple and red heart decorations for my pre-surgical “cardiac and cocktails” party. Well, what happens? A damn hummingbird comes flying up and checks out the red ribbons, only to discover they are not nectar or a feeder of any kind. So off he or she flies. Totally excited, I go online and order a hummingbird feeder and a few days later place it where the ribbons were hanging on the front porch. I will never see a hummingbird again. 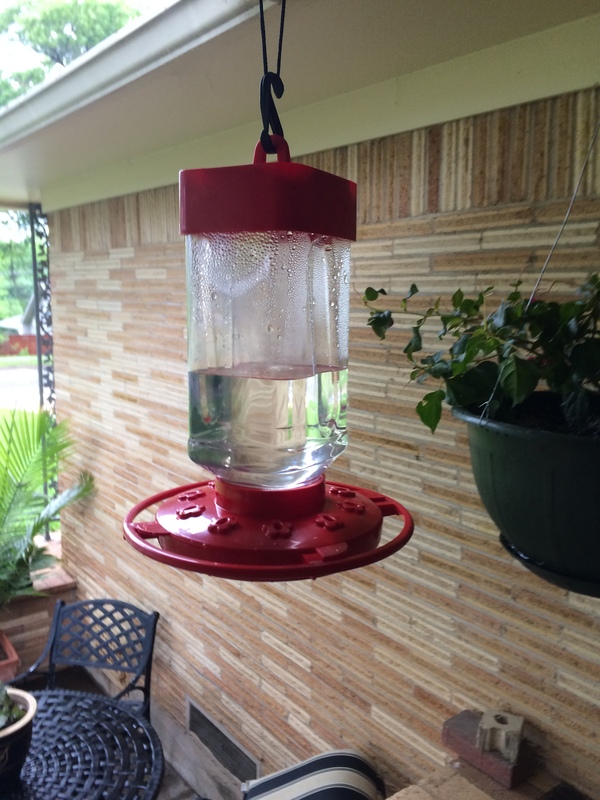 Side note – its weird how in advertisements, you see hummingbird feeders with red nectar or “Sugar water” inside. If you read instructions on line, everyone says red food coloring is bad for the birds and to not use it. Go figure. Who knew it would be so challenging to attract little feathered friends? Maybe I’ll just get a cat.